The Flora of Australia project was initiated in the 1970s to provide a uniform description of the Australian vascular plants, bryophytes and lichens. It began as a planned series of more than 60 volumes, containing treatments to the species level. The Flora was published as a series of printed volumes from 1981 to 2015, and about half of the published data later made available on the internet through the Flora of Australia Online. 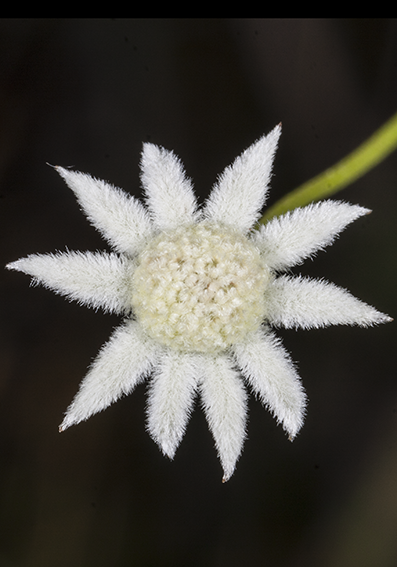 Following the publication of volume 37 in 2015, the Flora of Australia will no longer be published in print format. Delivering the Flora of Australia Online increased access to a broader audience, and reduced the time required to develop additional hard copy volumes. However, the existing Flora of Australia Online is limited in only delivering static content, as there is no facility to support collaborative editing for updates or additions to the published data. A new platform was required that met the need identified by the botanical community for an effective and efficient platform for collaborative creation, editing, sharing, management and deployment of flora content. The new Flora of Australia has been produced by the Australian Biological Resources Study (ABRS), in partnership with the Atlas of Living Australia (ALA) which developed the digital platform, with national oversight provided by the Council of Heads of Australasian Herbaria (CHAH). The project has also involved close collaboration with botanists from across Australia and around the world, who have provided up-to-date treatments for many groups. The platform connects and integrates a large amount of botanical information from many sources, including: nomenclatural information from the National Species List, dynamic distribution maps from Australia’s Virtual Herbarium, which is currently hosted by the ALA, interactive identification keys from KeyBase, and images from the Australian Plant Image Index, as well as other biodiversity data from the ALA. In this regard, the new Flora of Australia platform represents the world’s first fully integrated, collaborative and dynamic platform for building and managing flora data, and provides an important model for other international floras. The platform enables different floras to be built using the same infrastructure, assisting with data sharing and collaboration. A key feature of the new Flora of Australia is the filter function, which allows the user to search for plants occurring within a particular Interim Biogeographic Regionalisation for Australia (IBRA) biogeographic region. In addition, the filter function and KeyBase interact, so that a user can identify plants occurring within that IBRA region using taxonomic keys. This innovation means there is user-control over finding out which species occur where. The site also provides a wealth of additional information, such as a variety of ‘How to’ links, which are accessible by clicking on the ‘Help’ icon in the header on each page. The site also provides easy access to a glossary (also accessed in the Flora of Australia header and as a ‘Help’ link) to aid understanding of botanical terms. The ‘Library’ button on the Flora of Australia homepage contains PDFs of the entire content of Volume 1 (2nd edition), which was first published as a book in 1999. Botanical information is integrated into individual taxon profiles, which are accessible from the Search and Browse functions on the Flora of Australia homepage, at: www.ausflora.org.au. After accessing the homepage, click on the buttons to begin.